Partnership is vital to the success of the redevelopment project. At its core is an ongoing partnership with Whanganui Iwi, symbolised in the gifting of the name Te Whare o Rehua, Whanganui – The House of Inspiration – in 1995. 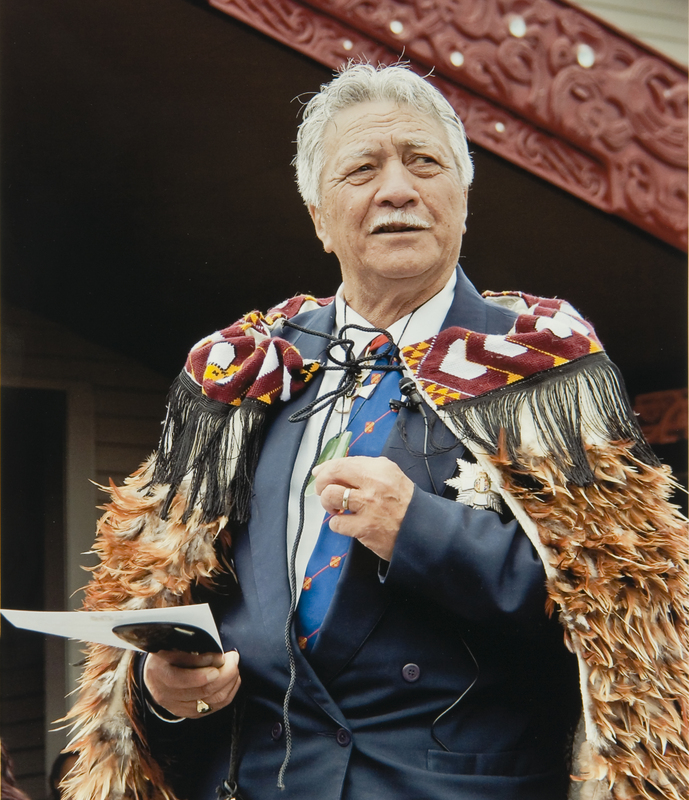 The extension to the Sarjeant Gallery will be dedicated to Sir Te Atawhai Archie John Taiaroa, who was a loved and respected kaumātua and an inspirational leader of the Whanganui people. Born at Tawatā on the Whanganui River Sir Archie, as he was to become known, was a spokesperson for his iwi both at home and on a national and international stage. He shared his wisdom and foresight with many. His ability to find mana enhancing solutions to difficult issues was to become his legacy not just to his people but to all Māori and to New Zealand. Among his many roles, he was negotiator and peacemaker between the crown and Māori on issues affecting all New Zealand. In 2003, Sir Archie was elevated to the station of Distinguished Companion of the New Zealand Order of Merit for his services to Māori, especially Whanganui iwi and in October 2009 at a special ceremony he was invested as a Knight Companion of the New Zealand Order of Merit. The best way to sum up the values he applied to his life’s work is this quote from the introduction to the Te Ohu Kaimoana AGM 2010. The creation of a new wing to the Sarjeant Gallery in the name of Te Atawhai Taiaroa is a fitting and lasting tribute to a humble man who devoted his life to finding enduring peaceful solutions to the issues facing Whanganui Iwi, Maoridom and New Zealand as a whole. The placement of the extension overlooking the river he loved and fought a lifetime for, following in the footsteps of his tupuna, brings a spiritual benediction to the building that will ensure it will never be merely bricks and mortar. The stones on display at Sarjeant on the Quay represent the spiritual commitment of the peoples of the Whanganui River to the redevelopment of the Sarjeant Gallery. They will remain at Sarjeant on the Quay until the redevelopment project is completed, at which time they will move with us to the redeveloped Sarjeant Gallery, Pukenamu Queen’s Park. Much remains to be done, including further fundraising to deliver the final project. To achieve this we are working closely with a range of partners – sponsors and funders, both private and public sector; artists and supporters of the arts, nationally and locally; contractors and suppliers and most importantly with the people of the Whanganui District and the wider region. There are a number of opportunities for participation in the project at all levels. These are both financial – from major philanthropic gifts to regular contributions or more modest one-off donations – and personal – supporting the project through purchases from the Gallery shop or taking part in Gallery activities. One way is a commitment to be one of our Thousand Stars or by joining up as a Sarjeant Business Partner. Join us and help build a legacy for the Gallery’s second century of inspiration. Photo of Sir Archie Taiaroa by Gail Imhoff.